Jaws will drop when you arrive in Sherri Hill 52044. This alluring mermaid gown features a sheer bodice, with lace embellishments around the scoop neckline, over the opaque bra cups, and throughout the sheer long sleeves. Scalloped lace frames the round cutout on the open back. The lace mini skirt leads to tiers of chiffon, that create the perfect mermaid silhouette, with an elegant train. 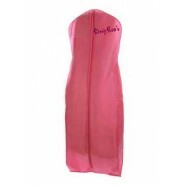 Become the center of attention in this gown at a pageant, prom, or birthday celebration.